With an available 2.0L turbocharged engine and up to 31 mpg/highway economy, the new Jeep Cherokee delivers powerful efficiency for Pueblo commuters, but that isn’t all. Drivers can also hit the trails with available trail-rated technology like the Terrain Traction Management System and innovative design that makes the Cherokee a top choice among Castle Rock adventurers who know how to pick a winner. Find yours in the inventory below, then keep reading to see why when it comes to getting the Jeep you want at a price you’ll love, Perkins Motors should be your first stop. 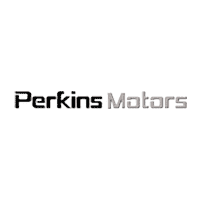 If upgrading your daily drive to Woodland Park is a top priority for you, then Perkins Motors is the place to be. Schedule a Denver area test drive of your favorite Jeep today and see what you’ve been missing.